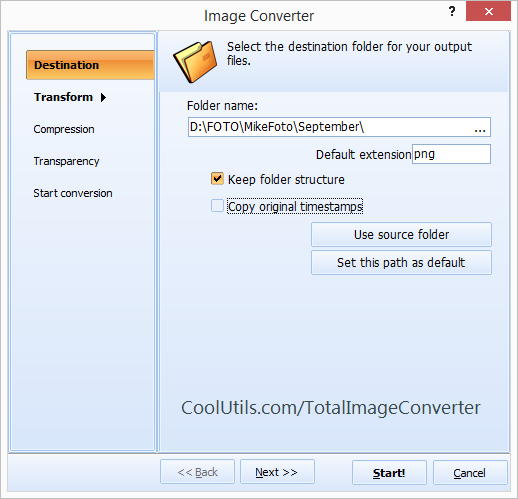 Convert BPG to JPEG plus resize, rotate and more. 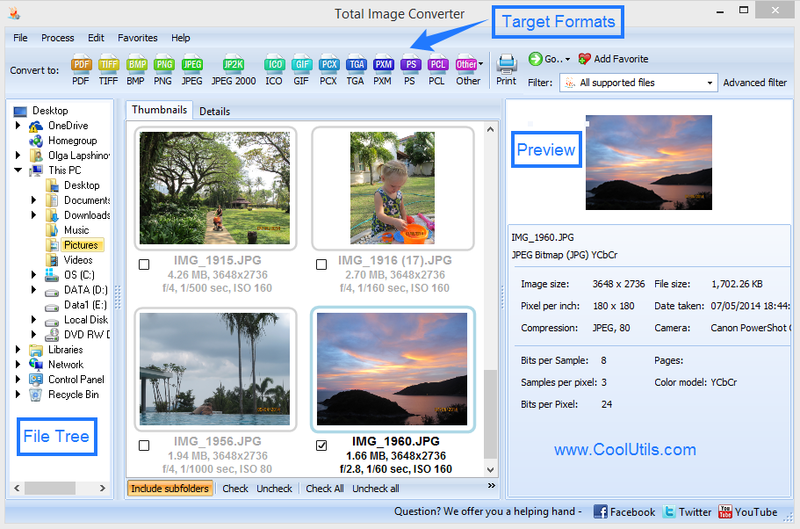 You are here: CoolUtils > Total Image Converter > Convert BPG to JPEG plus resize, rotate and more. Although created less than a year ago, the new BPG (Better Portable Graphics) image format has everyone excited. The idea was to create a format with more efficient compression than the JPEG, and they succeeded. However because it's so new, it will take some time before BPG is fully-supported by your favorite apps. In the meantime, here at CoolUtils we've developed a work-around! With the help of our batch image converter, users can convert BPG to JPEG (and other image formats that are still widely supported). 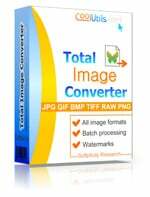 As part of the Total Image Converter toolset, the BPG to JPEG converter lets you modify and convert lots of files at the same time using batch technology. If you're unsure of how to convert BPG to JPEG - don't worry - our user-friendly interface will guide you through the process. But that's not all! For the advanced user, the option is available to work in the command line environment. You can even integrate our converter into your Windows shell; allowing you access through Windows menus. What makes our converters truly cool are the many options we've included to help make your target images even better than the originals. Run the converter from the command line. Integrate the converter into your Windows OS. Transform images with resize, rotate and crop. There are other conversion apps out there, but none of them include this many options. On top of that we're constantly searching for new ways to upgrade and improve our converters. For example: the BPG format. Released to the public just a few months ago - we've already added support! Check it out today by taking advantage of our free 30 day trial. After downloading you'll have a month to explore and test it out. When you decide to buy, for only $24.90 you'll receive lifetime access and free upgrades for a year with tech support included!